I graduated from the Glasgow University in 2015 with an engineering degree. My first professional experience was with Jacobs in Warrington, where I worked as a Graduate Water Engineer, specialising in flood risk. I worked on the detailed design stages of flood prevention schemes in Warrington and on flood risk appraisals in Carlisle and surrounding towns in Cumbria. I also had the opportunity to work on the design of a construction drainage network for a reservoir in High Leys, Cumbria, and within the highways team on the M4 Smart Motorway project. I joined Civic Engineers for the opportunity to be able to work on a diverse range of projects and to improve and develop new skills as a Civil Engineer. To date I have mainly involved in the Glasgow Avenues project, which involves re-designing many of the city centre streets with a people centred approach; focusing on promoting sustainable modes of transport, improving connectivity and making areas more attractive for investment. To date my responsibilities for this project have been in designing the proposed drainage network for the scheme with the implementation of SUDS. Outside of work, my main interests are in sport and music. I am a keen footballer and try to get along to as many live gigs and music festivals as I can. 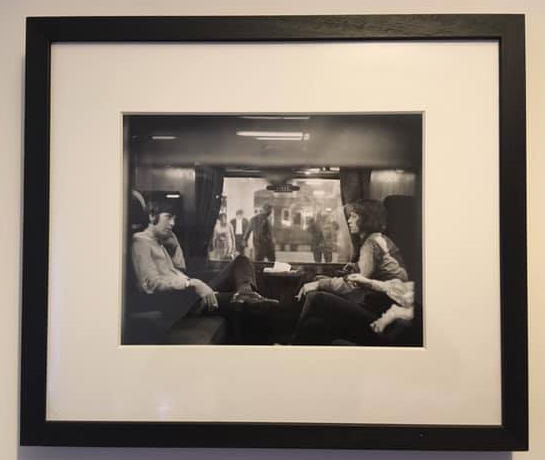 I received a framed image of Paul McCartney and Mick Jagger from family as a birthday gift. It means something to me as I think it’s a cool photo of two musicians that I admire and is also something that will have sentimental value for me as I get older.